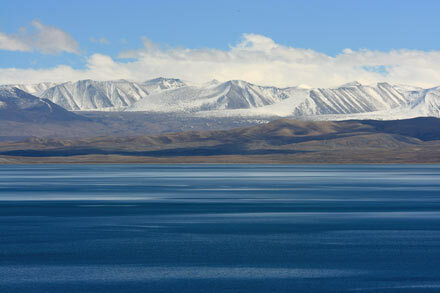 After Nam Tso Lake, which supposedly is the highest fresh water lake in the world, the holy Lake Manasarovar is the highest salt water lake at an altitude of 4550 m (15,000 feet) and a popular Buddhist pilgrimage site. We spent a couple of nights there on our way back from the Guge Kingdom staying at a small guest house situated between the lake shores and the Chiu Monastery atop a small hill. 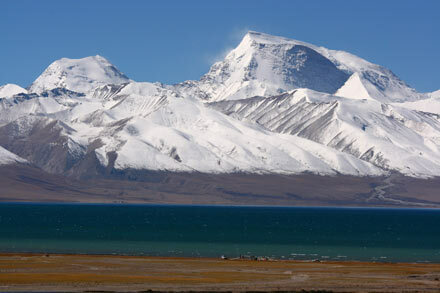 Manasarovar is a gorgeous, deep-blue lake that reflects the surrounding mountains on its smooth surface. The most stunning of them is Gurla Mandhata which, at 7728 m (25,500 feet), is among the fifty highest mountains in the world. 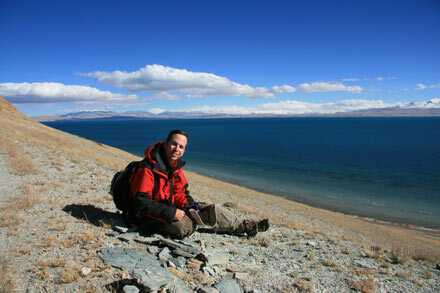 We spent a full day exploring the lake shores, and enjoyed the warm sun after freezing on the Mt. 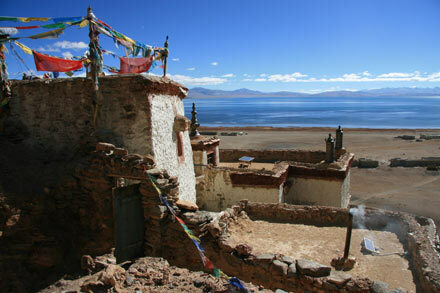 Kailash kora. Even though the lake shores may look barren and uninhabitable at a first glance, there are plenty of water birds, flocks of ground birds, and the soil is covered with a salt crust interspersed with vegetation giving way to a colorful display.